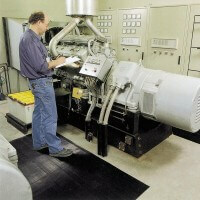 Insulative, Switchboard or Non-conductive mats designed to provide insulation for the worker. It insulates workers from deadly shocks caused by high voltage equipment. These are true safety mats designed to save lives! Available with anti-fatigue properties to provide worker's comfort. 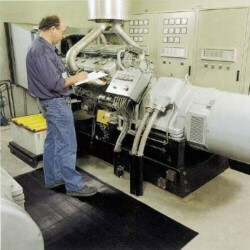 NoTrax's Diamond Switchboard Matting is a 3/16" non-conductive floor mat made from a PVC compound, designed to provide insulation for the worker. 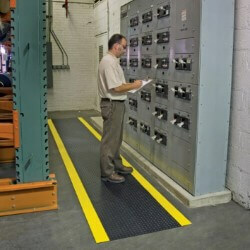 The mat prevents the worker from being grounded, thereby eliminating the possibility of electrical shock. A non-conductive matting, NoTrax's 1/4" Switchboard Matting is designed to provide insulation for the worker. Made from a PVC compound, the mat prevents the worker from being grounded, thereby eliminating the possibility of electrical shock.